Sorry for the absence, we’re going through a lot of work, but soon enough we’ll be ready to start our crowdfunding campaign to start printing the guide. For more info, click the link above “how to support us”. Anyway, today we’re going to talk about something else. A lot of people ask us what other cities to visit near Venice we suggest. That’s an excellent question! Venice, in fact, takes 2-3 days to visit, and it would be a pity to miss on the opportunity of seeing nearby gems. All the cities we’re going to mention are very well connected by train or road to Venice, and the cites are quite cheap! We’re going to suggest you an itinerary, but of course, it will all depend on what your plans are. First of all, we’ve prepared a google map, to show you where these cities are. 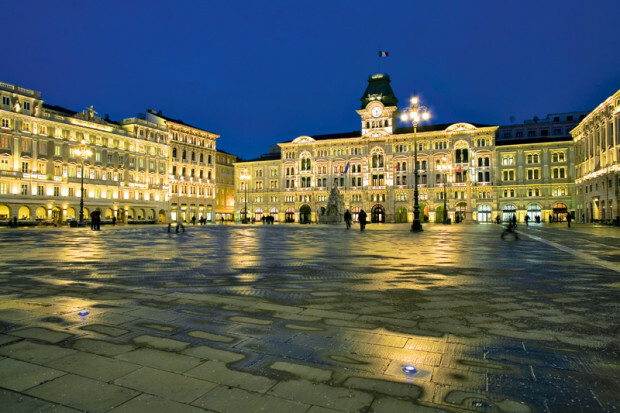 Trieste, for a reason, is also called the “Gem of the Adriatic sea“. Loved by a long list of poets and writers, it’s in our opinion one of the most romantic cities in Italy. 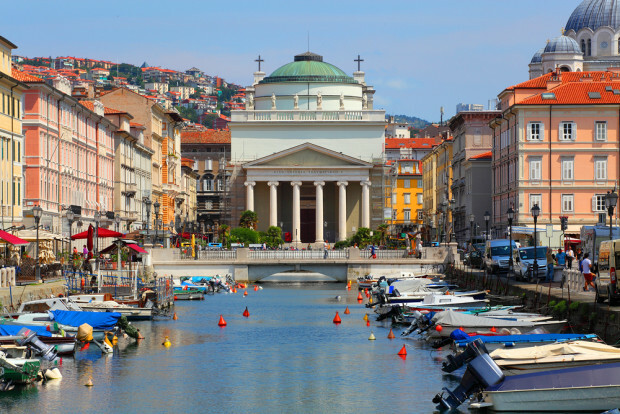 Facing the Adriatic sea, and very close to the Slovenia border, Trieste has been for centuries a mixture of cultures and thoughts. To get there from Venice, the easiest way is to get a train to Trieste Centrale, ticket price is 14€ and the trip lasts 2€. As for the other destinations, you should always get a “Regionale Veloce” train. These trains are cheap and quite fast. They’re not the most luxurious but they get the job done (also the only work within medium-short distances). From Trieste, get back to Venice (unless you’re heading to Croatia or Austria). From Venice then, get a train to Padova. We’ve already talked about this city in another post: Top 6 things to see in Padova so we’ll not go too much in detail again. For its location (that you can see on the map we linked above), it’s an excellent base to see the rest of the cities we’ll talk about later. To get there from Venice, again take a “Regionale Veloce” train. You’ll arrive in 30 minutes for a cost of 4€. Another must see in North Italy, another romantic city. Famous all over the world for Shakespeare’s comedy “Romeo and Juliet” set here, you will also see Juliet’s balcony right in the center of the city. 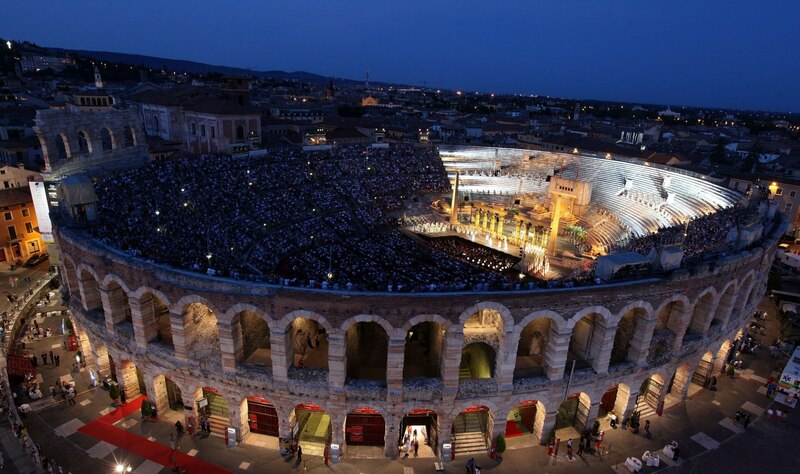 Hosts an ancient Roman Arena, still used for beautiful concerts and operas. To get here, again a “Regionale Veloce” from Venice for 1.30 minutes and 9€ or from Padova for 1 hour and 7€. Going back to Padova, it’s time to head South! On the road to Bologna, stop in Ferrara. 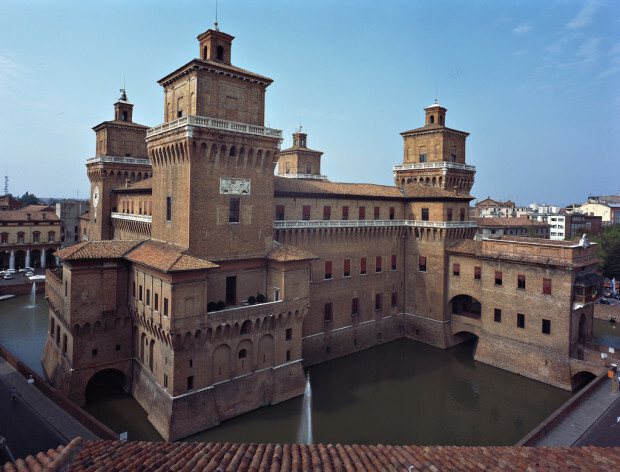 Ferrara is sort of Bologna’s little sister, with a typical medieval architecture and many beautiful palaces you can visit full of priceless art. To get there, from Venice (train will stop also in Padova) 1.30 hour and 8,50€. From Padova 1 hour and 6,50€. Your final destination (for now) is Bologna. 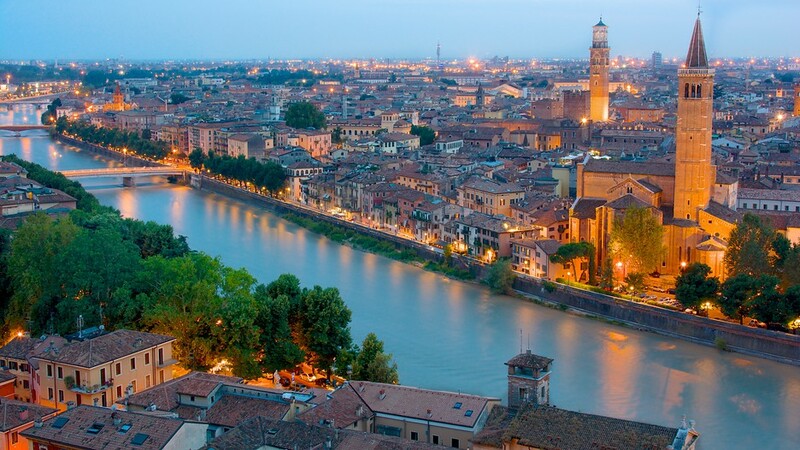 One of the major cities in Italy and also a strategic base from where head to Florence or Rome. Bologna, also called “the red city” for its typical landscape, has a beautiful medieval center, with several palaces you could visit, in particular the Asinelli tower (that you can see in the picture). To get there, from Venice train for 2 hours and 12€ or from Ferrara 46 minutes and 4,50€. That’s it for today! Again, we strongly suggest you not to miss on the opportunity of seeing all these beautiful cities near Venice. For more information other places to visit, see also our other post “5 Amazing places to see near Venice“. Stay with us during the next few days for big news on the start of our crowdfunding campaign!